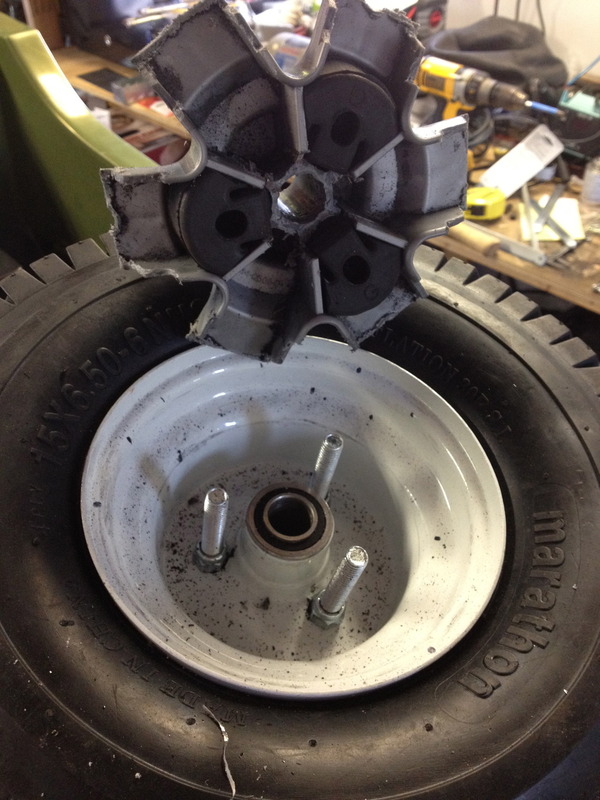 This is the rear wheel assembly for Project Power Wheels. 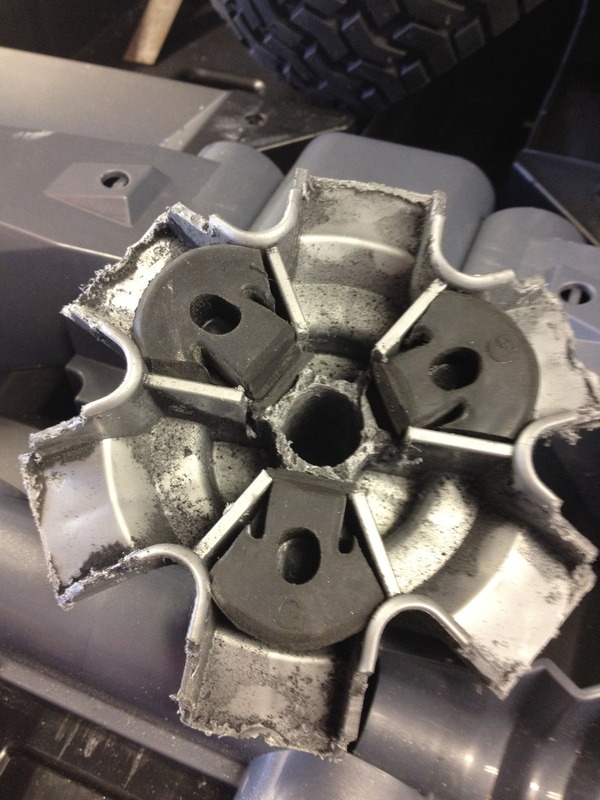 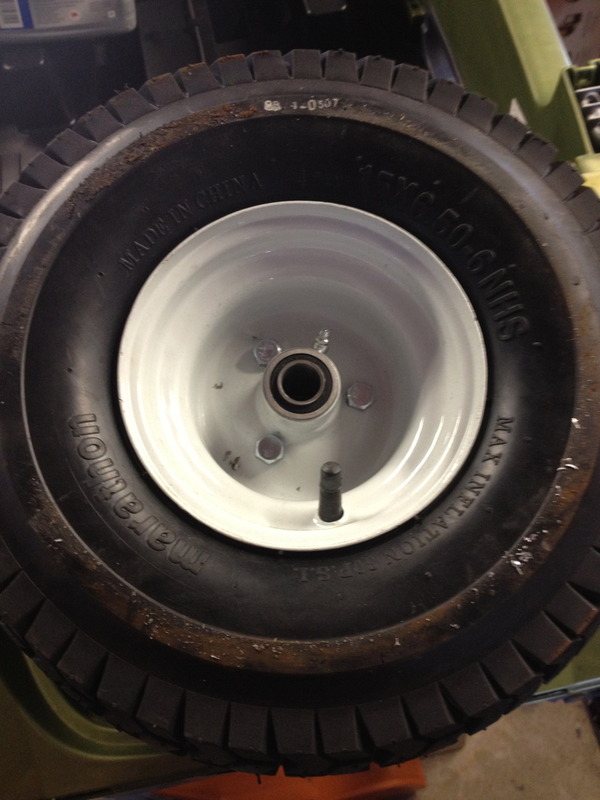 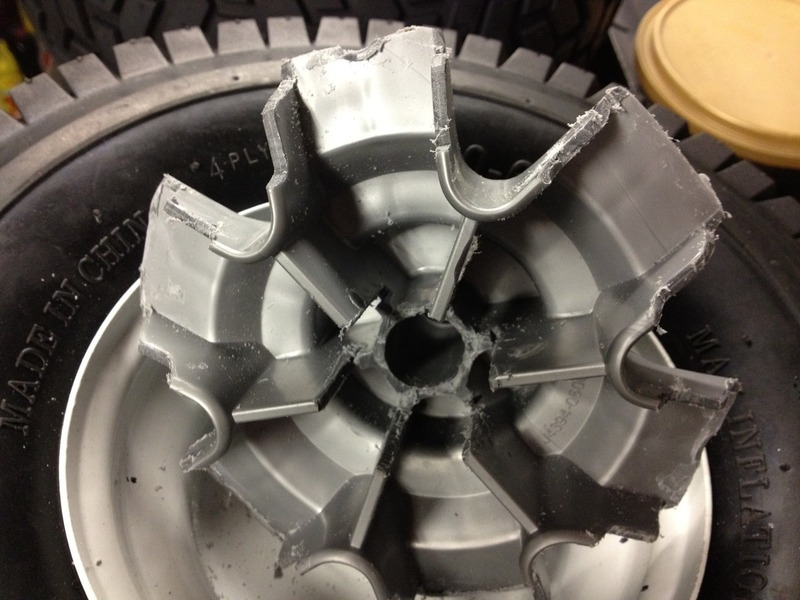 Max carefully carved up the original plastic ups to use the drive hub on our new pneumatic wheels. 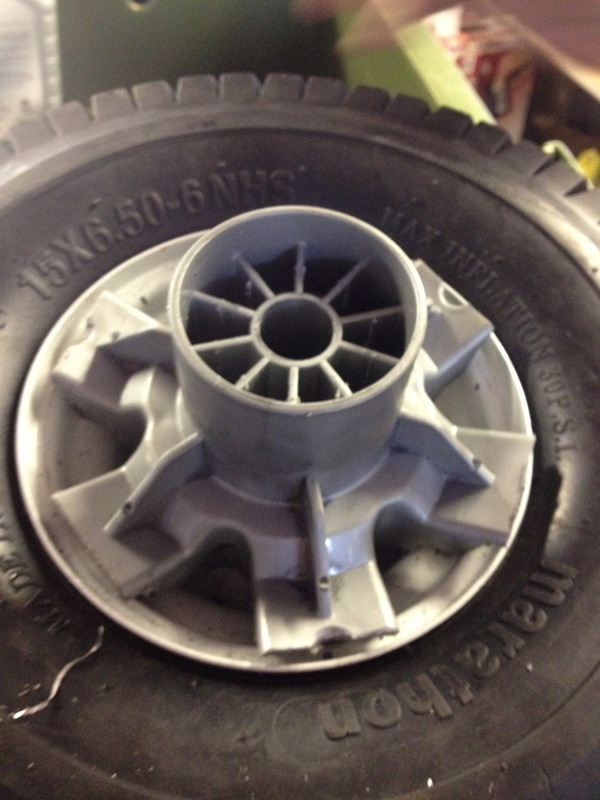 We cut rubber exhaust hanger mounts in half and used them as bushings (along with some 2.5" bolts in the steel rim) between the plastic and the metal rims.